Three Mighty Bellows provide air for the Bubble Synth. 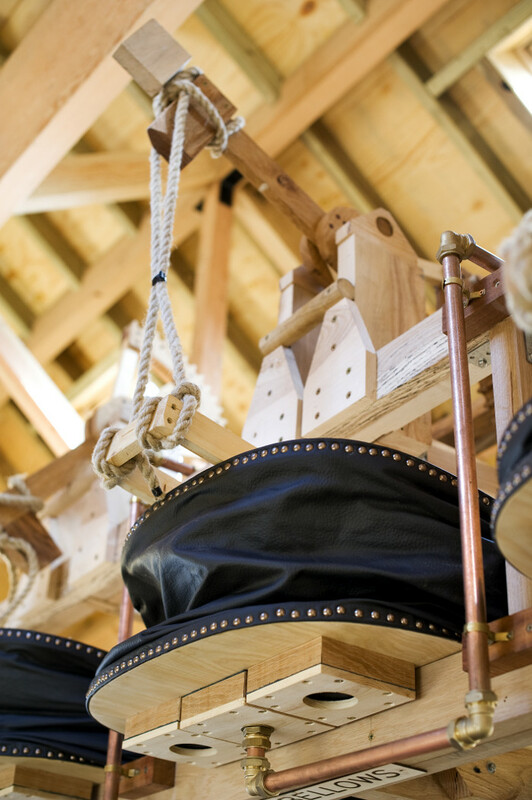 Cut from 25mm Ash boards each paddle weights 15Kg ensuring a constant air pressure whilst the upper paddle drops. 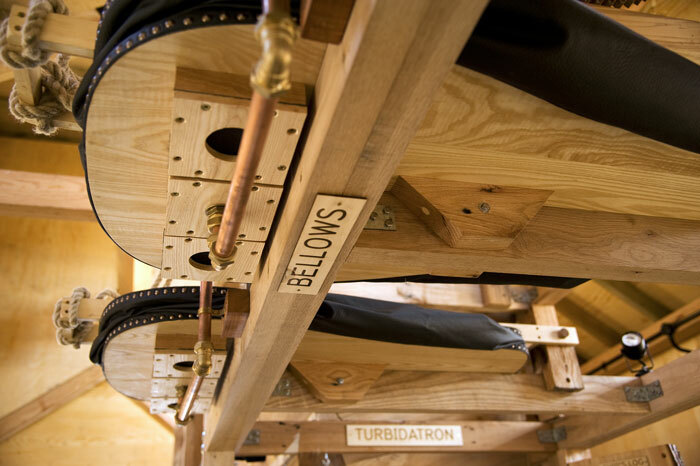 The Bellows onboard ~Flow are butch Owl Project engineering at its best. 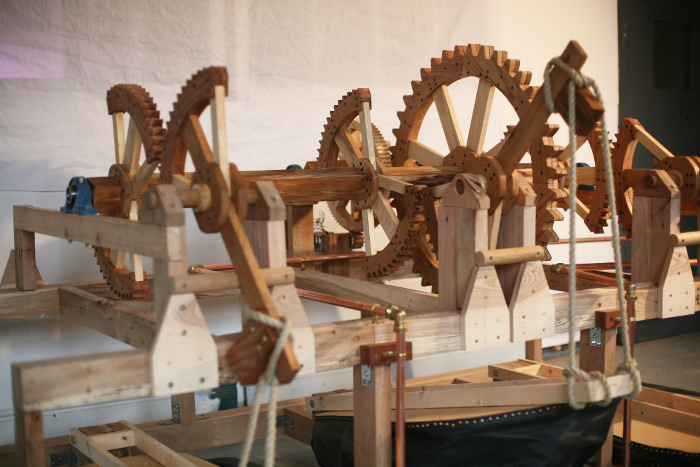 Bellows machery in studio before installation, this framework was held overhead, giving the installation an organic feel, akin to breathing. 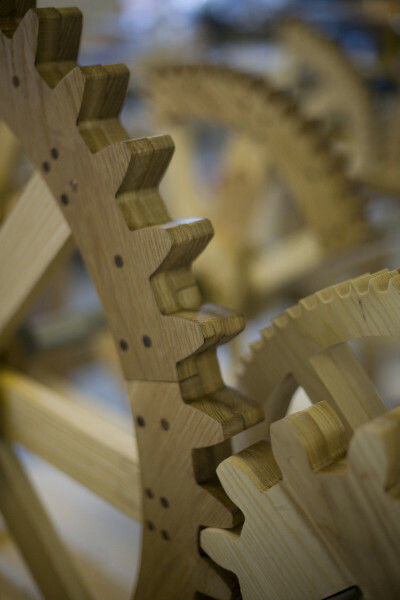 Specially desinged gears lifted the bellows.